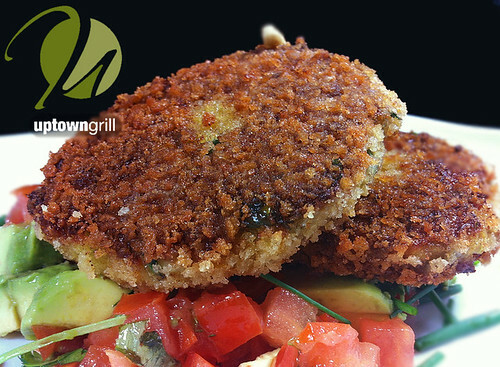 Some new items to hit our menu this week will be panko breaded crab cakes with spiced goan and spinach & chicken radiatore. We attempt to make note of what special items are more well received than others, and both of these dishes fit that bill. Fortunately for you, one is an appetizer and one is an entree, so you can treat your taste buds to both items in one sitting! Goan is an ingredient that consists of seafood, coconut milk, rice and intense regional spices consistent with those of a tropical climate such as tamarind and curry. It is a popular regional food of Goa, which is located along India's west coast. If you are a seafood foodie, or for that matter a crab cake foodie, this is one dish you may want to introduce your taste buds to. The other popular special we're introducing this week is a spinach, pine nut, grilled chicken & alfredo radiatore. Often we try to keep things new, interesting and a bit educational, always trying to use new and trending ingredients in our specials department. But sometimes it's the simple and every day common ingredients that come together to create the perfect flavor. This pasta is it. To give you an idea of how our specials work, we track daily the amount of each special item we are selling. It helps us to prep the desired amount each day so we don't run out of an item mid-shift. It also allows us to serve the freshest possible ingredients. This entree is one that we sell at least 8-10 of every single day and double that on the weekends... it is just that good. Come see for yourself!